The pose and expression of Cocky #1 captures my imagination and makes me smile. Our local bushland park is home to hundreds, and quite often, smaller numbers visit the local streets. One of the delights of living in the St George district of suburban Sydney, Australia. 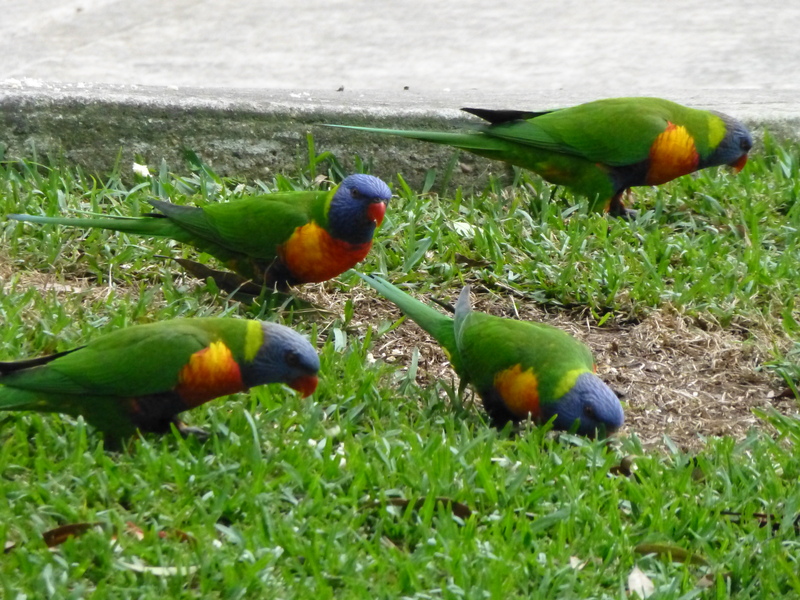 Rainbow Lorikeets in a suburban Sydney park. Rainbow Lorikeets are aptly named. Witness their brilliant, rainbow-like colours! Even their beak is a startling red! I’m so privileged to live near a large area of bushland that is home to these (and many other) glorious parrots. I hope that you will get a sense of their beauty and abundance. There’s a Cormorant on the Rock! 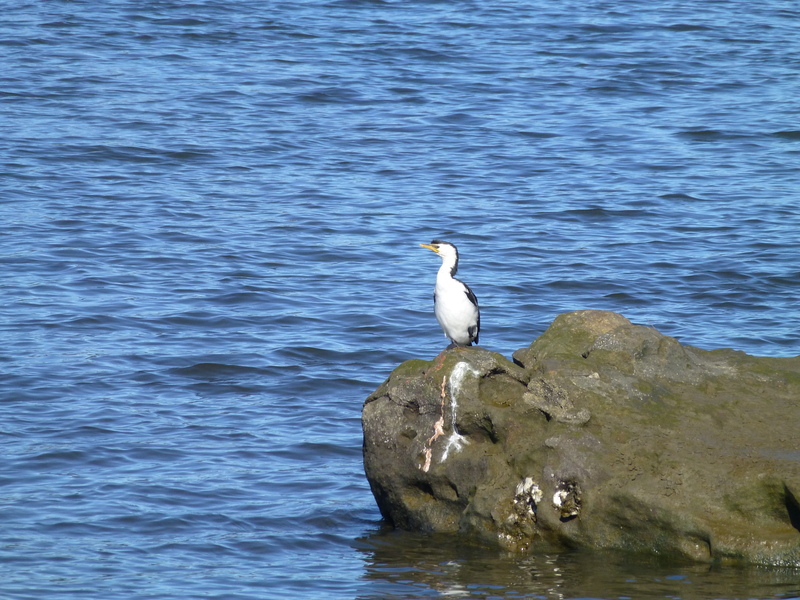 Little Pied Cormorants are not an uncommon sight on the river, yet they seldom choose to rest on rocks, preferring instead to alight on man-made structures such as wooden poles, and the top of the shark-proof netting. So I think myself lucky to get a shot of one while it rested on a rock, just outside the swimming baths in Sydney’s Georges River. 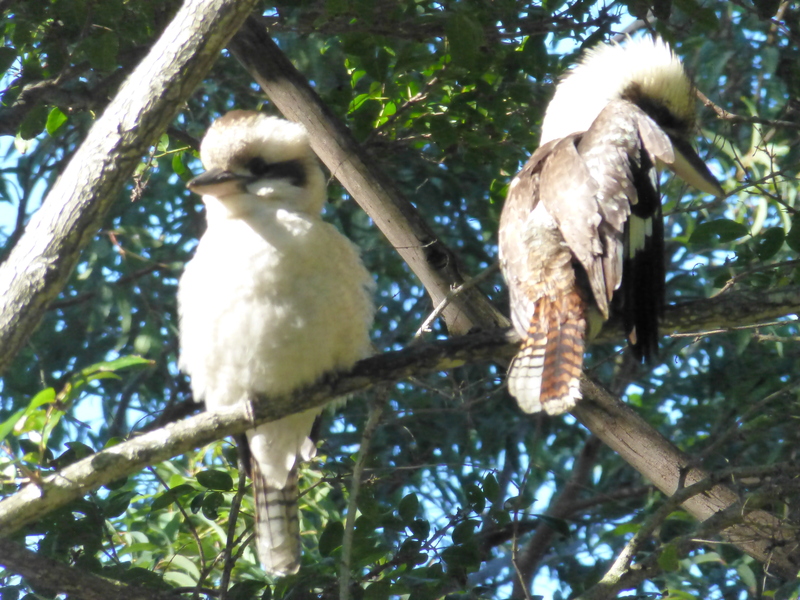 Most of the time, I see Kookaburras on their own, or at least not as close together as these two. 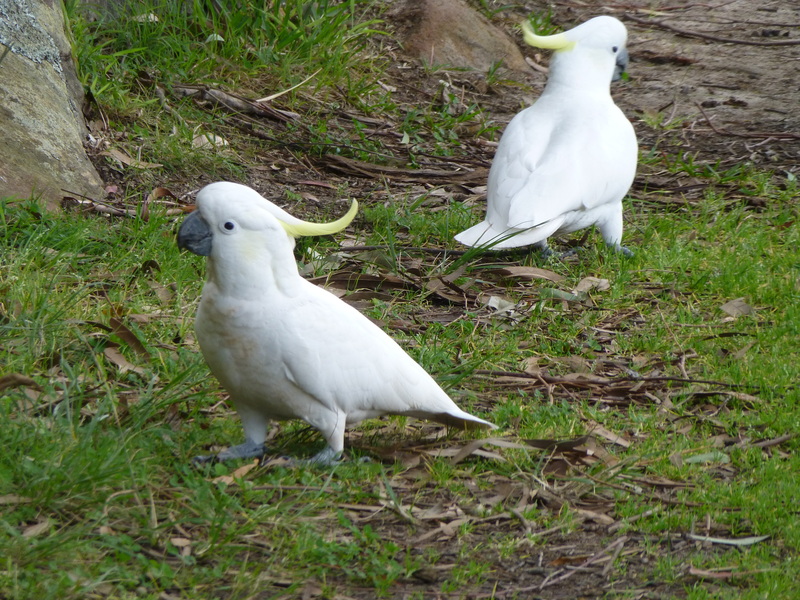 Our local park (in suburban Sydney, N.S.W., Australia) is home to an enormous variety of birds : from tiny Welcome Swallows to huge Australian Pelicans. In the middle range comes thes delightful members of the Kingfisher family. Oh, and I must say ‘Thank you’ to Australian author Jan Merry for her review of my 2015 release, “Of Love and Secrets’. The Goodreads link has disappeared, but you can still read her review on Amazon. It is the most recent! A Kindle edition is available through Amazon.